For those days when you wish you were in a band. Céline sunglasses, Macy's Juniors' dept. coat (similar), Urban Outfitters sweatshirt, Vince tank, Rich & Skinny jeans (similar), Alexander Wang shoes. Love this look, I want a coat like yours!! 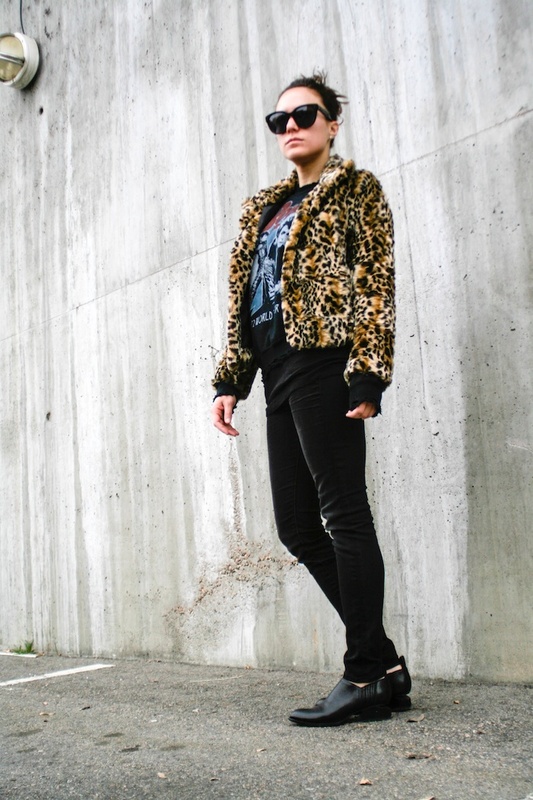 You are seriously channeling your inner rock star in this outfit. Love it! so edgy and chic :D love it! Seriously - you never fail to have a fabulous jacket!! Loving this little gem! You coat is just all sorts of amazing! The jacket is totally fab. Love your look! I like the coat!! Nice look. 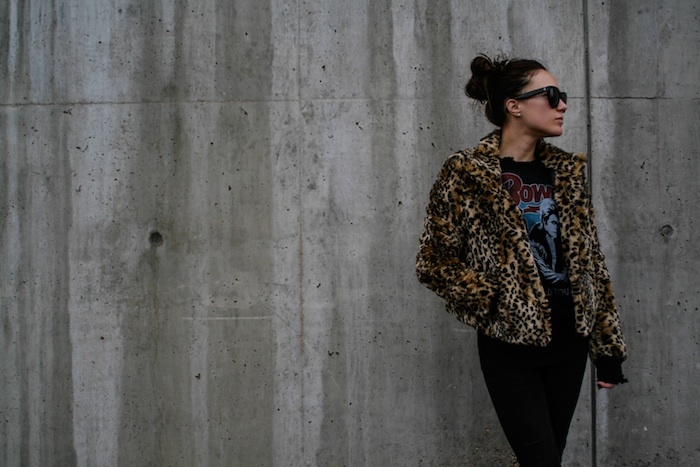 I love that leopard jacket! I really like how it's short! I am obsessed with this coat. You are a new blog favorite. Happy to have stumbled here. love the jacket... Need one! Want, want, want this gorgeous coat! Love it paired with the casual tee! rock side the fur, suits you so much! p.s. For the next days I will not have the convenience of the internet. I'll go in the internet where I can. Just i make posts. Do not misunderstand me if I could not move from here! Kissing a lot. Happy Holidays! 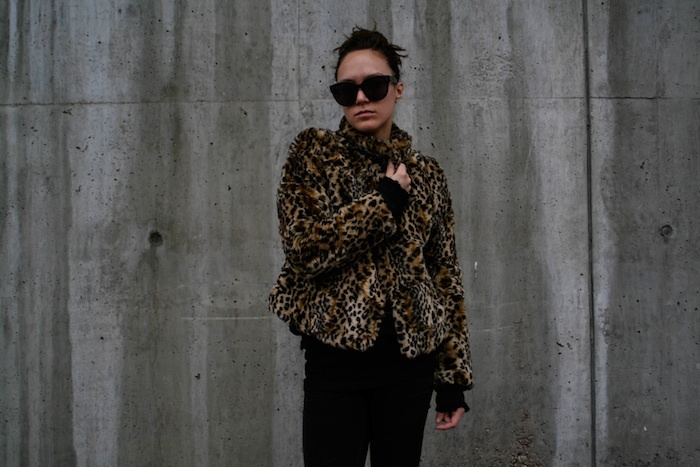 I have a similar leopard jacket like yours and love it! You have great style girl, keep it up! love love love that jacket, you look amazing. 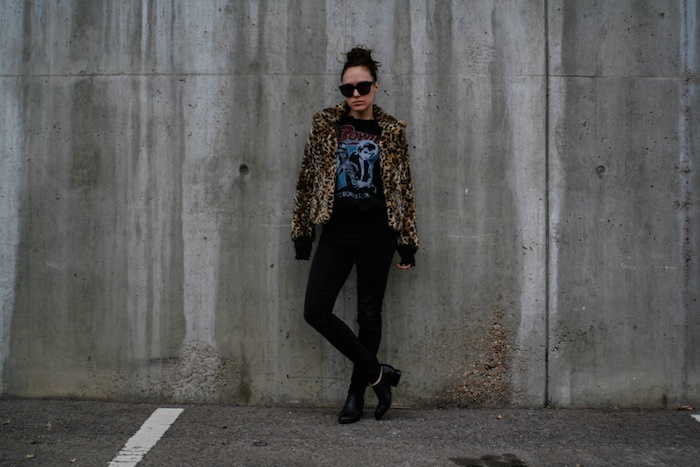 I love your style, awesome and edgy! I followed you the moment I found your blog. I'll definitely keep posted. :) it would mean so much to me if you visit my page too and perhaps follow me back. Thanks, take care!